Robert Wilson asked me to recreate the performance from my 2011 piece called "Hive" to act as the gates into Watermill's summer performances “Devil's Heaven”. The performance was in conversation with Clementine Hunter's paintings (the featured artist of the gala) which often had funeral processions in her paintings to depict plantation life during the 20th century. Furthermore, Funérailles De Miel is a critique on the economics of the victorian south within the Watermill setting as a conversation on class. 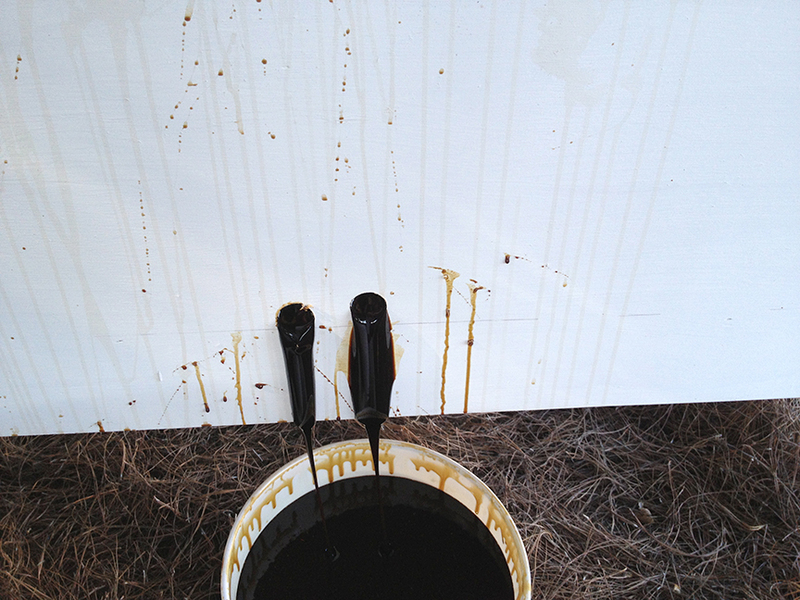 Molasses, the south's black honey was used to connect a southern staple harvested in Louisiana, where the painter and I are both from, to the harsh realities of the cane field plantation workers that often resulted in death. As the guests enter, they're presented with a row of gold spoons in which they can choose to taste this bittersweet and grotesque persisting history. The wailing soundtrack of a southern baptist preacher sings about sweet Jesus as they guest move through the piece.